The third stop of the 2016-2017 Pro Tour season finds the Standard scene feeling tentatively hopeful for a rebound in format health and interest. After two seasons ended up requiring the banning of cards, the entire community wants to see a diverse and balanced metagame emerge at this tournament. With Emrakul, the Promised End, Reflector Mage, Smuggler’s Copter and Felidar Guardian all banned, and Mardu Vehicles decks looking dominant in the latest tournaments, the format really needs a win this weekend. Many of the best Magic players in the world have been stealth testing in Nashville, TN for the last week or two, all seeking to answer the question of the day: is there a brew out there that will allow them to catch the field off balance while offering consistent play against the known quantities in the field? Can anything unseat the most defining cards in the format? With $250,000 USD on the line, and a cool $40,000 for the champ, players looking to Top 8 need both the fortune of the gods, and excellent skill to take home the trophy. As per usual, it is worth noting that the Pro Tour currently requires that players succeed in a mixed schedule of booster draft (AMKx3) and Standard play with 3 rounds of draft Friday morning, followed by 5 rounds of Standard starting around 2pm EST/11am PST, Friday. Will any of the teams find a way to unlock a new archetype with hot game against the entire field? Will a fringe deck from the early weeks of the format suddenly end up perfectly positioned to take off? Will there be a chance to get in on a must-have card that shows early promise or will the hype train leave the bandwagon speculators out in the cold without enough buyers come Monday morning? 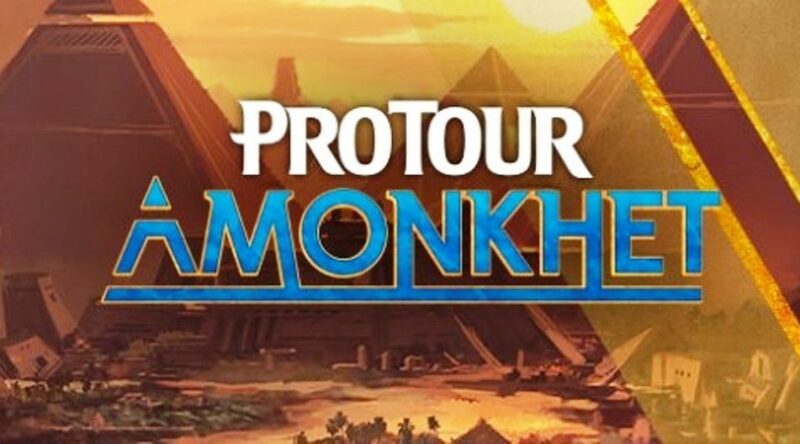 Follow along as we explore Pro Tour Amonkhet all weekend! There is no debating that Gideon, Ally of Zendikar has been an important card in Standard for virtually the entire time it has been legal. The card seems safe from a ban at this point, but with rotation looming in October, the odds of this card showing gains are slim to none whether or not it performs well this weekend. In an outcome where it maintains a dominant role, excitement for the format will be weak, leading to lower singles demand, and if it is finally laid dormant, there’ll be no impetus for the price to jump. Either way this is a card you should have sold months ago, and if you’re holding copies you aren’t using, you should be selling now. It’s hard to believe we had a shot at this card around $8 when it first released last fall. The power level on Snapcaster Mage’s big brother is undeniable, and the number of good control cards to flash back has only gotten better between all of the card draw, kill spells and counter spells now in the format. U/R Control is the most likely home for the big blue brute this weekend. As recently as late April you could get the blue construct for $14 or so, but recent gains have left us at limited supply with a $35 price tag. This card is a sell at this price, as any further gains are purely theoretical, since even Gideon failed to hold over $40 as one of the top 3 most played cards in the format. Aetherworks Marvel: New Best Combo Deck? Aetherworks Marvel decks have been floating around in the format since the first few weeks of Kaladesh last fall, but with the printing of Felidar Guardian, Marvel has spent some time on the sidelines. Now that Guardian is banned, and with Marvel decks having gained some new tools and end game options, the stage may be set for the deck to make a comeback. We now have Temur builds using Dynavolt Tower (10% of online meta) as well as Bant versions running Approach of the Second Sun, as well as at least a few other possible configurations. We were practically yelling for months that the card was too cheap under $4, and now that there are hardly any copies available under $10, a strong showing this weekend could set the stage for this fall set mythic to hit $15-20+. Watch for two things to figure out whether you should be selling or holding: firstly, how many major teams are on the deck, if any, and secondly, what % of the total field is on Marvel vs. the win through rate for Day 2. Note: Ulamog, the Ceaseless Hunger ($20) is still a 4-of finisher of choice in nearly all Marvel builds, and regardless of what happens this weekend, it’s fall rotation makes it a strong sell moving forward. Heaven forbid Fatal Push had been a rare! It’s not often that we see $10 uncommons from in print sets, but strong cross-format demand for one of the strongest removal spells of all time has been driving this price for weeks. Contacts in Europe have been offering to trade me Masterpieces for piles of Fatal Push, which speaks volumes about how liquid this instant staple has become. Inventory is currently pretty solid, but there isn’t going to be a lot more Aether Revolt opened this year, so there is a decent chance that Fatal Push gets to $15 heading into the fall. Foils at $50 are pretty crazy, and I’m a bit worried that this card could get a promo version this year or show up in a supplementary product to challenge the price. There might be money to be made here, but I’m steering clear for a less volatile playing field. The future for Heart of Kiran is at least partially tied to the continued dominance of Gideon, Ally of Zendikar, Toolcraft Examplar and Scrapheap Scrounger, the creatures most likely to crew it, but as a two-mana colorless mythic from a small set, further opportunities for gains seem likely before it finally rotates in fall of 2018. I don’t think major movement is in the works for this card this weekend given the depth of current supply, but if the format plays out well and leads to renewed overall player interest at the local level then this is a card that should be able to hit a fresh peak in the next 18 months. Sphinx of the Final Word: Unlikely to Soar? Some MTGFinance folk seem to have made a move on this card leading into the Pro Tour, but I can’t fathom why. Sure, this has all the hallmarks of an excellent control finisher, but it hasn’t even cracked the Top 50 Standard cards on Magic Online. Further, despite showing up in multiple control shells, it is usually played as a 1-of, which is hardly a recipe for a sustained spike. As an Oath of the Gatewatch card, the clock is likewise ticking on fall rotation and I want nothing to do with this. Sure, getting in at $1.50 and out at $5 after fees is some decent math, but it’s a lot more attractive when you can sell a play set at a time. You probably have a couple of these lying around from draft leftovers and I think you should be selling now before this guy falls back to reality. Heading into the weekend, the copies of this powerful zombie mythic that I stocked up on last summer at $4 have been selling well over $16. That’s a great return, but is there more meat left on this bone? Well, inventory is very low online and a solid showing this weekend at the Pro Tour might push this zombie staple, usually played as a 4-of, up into the $25-$30 range. 4-of mythics that only fit into one deck aren’t always your best bet, but when they rest at the intersection of zombie tribal and aggro in a format that rewards speed and a smooth mana base, the stage may be set for the undead to steam roll the tables. Liliana’s Mastery: Rolling in the Deep? The zombie deck pilots have been quickly coming around to the benefits of having this combined creature creation spell and team buff effect sitting at the top of their curve. Most of those decks are running three or four copies of the card at this point, and I suspect that Zombies is going to be a lot more popular at your local LGS than all of the combo and control decks combined. This is one of the only cards I’ve been buying into a bit, on the basis that Standard success or not, this card will be an auto-include in casual and EDH zombie decks for years to come. Note: Dark Salvation is also in a similar boat. There isn’t any doubt this card is going to be a part of the format. It pressures Gideon, gets in tough to block damage and eliminates opposing threats when you have the breathing room to exert. If you were on the ball during pre-order season you have a chance to enter at $2 and exit over $10 when the hype was flowing, but now the card has settled back toward $6 as Amonkhet marches toward peak supply. There’s a good chance that this card gets a shot at a higher price point during its tenure in Standard, but we really need a dominant showing or an increase in copies played (typically 2-3) to push the price. I’m holding off for now, but it’s a card to look at if it generates repeated big plays on camera this weekend. Approach of the Second Sun: Dawning Champion? This card is sweet, and there are Aetherworks Marvel builds that run it, but it’s rarely a full playset, and the Temur builds seem to be favored. It could also show up in the New Perspectives combo deck, but it only plays one copy as well. I don’t think this is where you want to be for speculation right now, given that this card has building supply and modest demand. New Perspectives: Last Minute Contender? Saffron Olive posted a video series on a recently discovered combo deck revolving around this card and those videos might end up with more viewers than the Pro Tour. Supply has been draining out of the market and there is currently less of this card out there than most of the other cards on this list. I went ahead and grabbed twenty copies on the expected reach for the deck list via Saffron, but combo is generally less attractive to a broad audience than aggro, and if the deck fails to show up at the Pro Tour, it won’t help move the needle. The more cycling cards we print however, the better this card gets as a build around long term in casual circles, so I’m fine sitting on my copies for as long as it takes to show a reasonable gain given that it’s nearly always a 4-of when played. Do you have an outsider pick for the tournament? Share it in the comments! Stay tuned for round by round MTGFinance coverage of Pro Tour: Amokhet all weekend! Pull from tomorrow? It’s been coming up several times as a possible spec over the past few days. Thoughts? I still think this is the most overhyped new card JC99. At most it’s a 2 of in deck lists that I have seen, it scales worse than Glimmer at 4 mana and doesn’t synergize with BlueHulk. This isn’t Rev and there’s no 4 mana wraths in Standard, and this is a rare from a large set not played as a 4 of in decks…those are the facts I can give you my friend. Nope. Being played in low quantity thus far. Cryptbreaker. It was easy to predict that Egyptian theme will be around zombies and I regret now I bought only 35 when they were $1. I can’t see this card going down despite its rotating. Depending on what site u r watching Cryptbreaker’s price on he will go down after rotation. You can probably sell now, or after this weekend, and buy back in post rotation. That’s what I and my friends r doing with Relentless Dead, recommend the same to you. If you see price of $10 for breaker sell, if you only see $5 I understand your view point better.